Takatsugu Muramatsu - Original Motion Picture Soundtrack - Mary & The Witches Flower. Vinyl LP. Bleep. 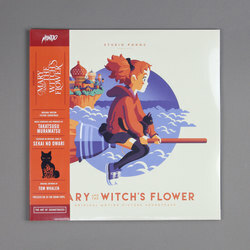 Mondo presents the soundtrack for the debut full-length film from Studio Ponoc, Mary and The Witch's Flower. Composed by Takatsugu Muramatsu. A dreamlike sequence of blissful and gentle tones and textures.